Make-up techniques and how-to's can rule YouTube and search engines. After all, once you lose your cosmetic virginity you know you're a woman; a woman who wants to know how to paint herself beautiful. So I ask you: Do you remember the first day you applied make-up? Or watched your mother or sister doll themselves with real cosmetics, whilst you toyed around with fake lipsticks, compact mirrors and blushers? Each girl has her 5 minute or 1 hour pat, puff, conceal and highlight cosmetic routine that begins at an early age and continues right until the walking sticks appear. But what if one day, you zipped up the cosmetic bag, declaring "enough is enough!" - you will show the world what you truly look like first thing in the morning, without your "artificially painted face". 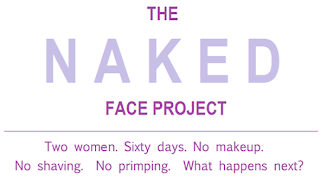 Well, two brave women unabashedly withdrew from their daily cosmetic routines and their challenge was: no make-up for inner beauty. Molly Barker and Caitlin Boyle both run organisations to help teenage girls develop their self-esteem. Barker, who trains girls to be triathletes, felt she needed to abandon eye palettes and lip glosses to endorse the true meaning of inner beauty. She then joined forces with Boyle (who runs OperationBeauty.com) and both set aside their clockwork beauty routine. 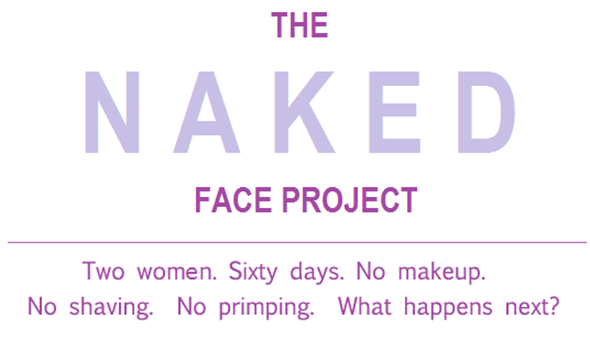 They proudly named their experiment The Naked Face Project, were they gave up nail polish, anti-wrinkle creams, hair accessories and deodorant for 60 days, to show that sometimes women depend heavily on cosmetics. However, the beautiful point they made was how each of them felt more comfortable in their own skin; they felt lighter, more youthful and were at peace in "their own skin".